Laura Rae Bernasconi has worked internationally teaching ballet, choreographing and dancing for the past 33 years. Some of the companies for whom she has taught are the Norwegian National Ballet, Netherlands Dance Theatre, Studio Wayne McGregor, Alonzo King LINES Ballet, Scapino Ballet, Henny Jurriens Foundation, Bern Ballet, ODC/San Francisco, Australian Dance Theater and Carte Blanche, Norwegian National Company of Norway. 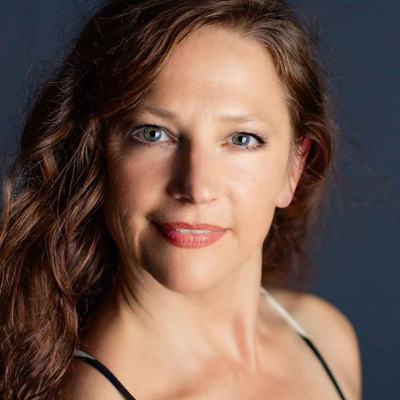 Laura has a healthful approach to ballet class that is rejuvenating, healing, repairing and uplifting. The objective is that the dancer begins to feel better in body, mind and spirit, encouraging growth and change toward homeostasis or excellent health within dance. Laura encourages exploration of energetic patterns in the body and positive thoughts in the mind. The technique of Ballet Bernasconi stems from principles of the Alexander Technique, Feldenkrais, the Ilan Lev Method, Gyrotonic and Gyrokinesis, Haha Yoga, sports psychology and martial arts. Laura focuses on individual needs of each student with support, empathy, love and mudita, or vicarious joy.